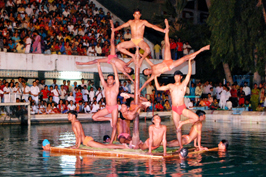 Amravati District Amateur Aquatic Association, Amravati. To encourage, to promote and to popularise in the District of Amravati and generally to improve the Standard of Swimming Sports. 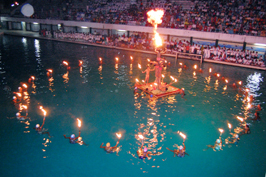 To improve, control and regulate tournaments in Swimming. To permit individuals, etc. interested in and/or promoting Swimming, to affilate to the District Swimming Association. To arrange and manage the District Championship or any other meet in Swimming that may be conducted by its affiliated clubs, institutions, and to render reasonable assistance to them, in conduct of the same. To make similar arrangement for Inter District Championship matches or tournaments, Subject to sanction approval and control of the Regional Association. To select the team to represent the District of Amravati at the Inter-District or state Championships. To uphold and maintain the laws governing competitions and rules and regulations framed by yhe Swimming Federation of India.